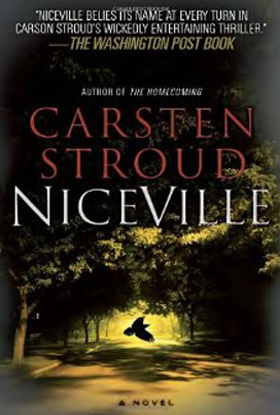 I’ve been spending every spare moment over the last week reading Carsten Stroud‘s Niceville trilogy. That is, Niceville, The Homecoming, and The Reckoning. If you loved Stephen King‘s The Stand, The Dead Zone, Salem’s Lot and Joyland, you’ll be a fan of Carsten Stroud. Niceville kicks off with one such disappearance, a boy named Rainey Teague, who seems to vaporize right off the street while looking into an old mirror in the window of the local pawn shop. He turns up eventually, rescued months later from an undisturbed, well-buried grave by former Special Forces vet Nick Kavanaugh. Nick’s married to a founding family descendant, family lawyer Kate Walker. Where was Rainey in the intervening months? Nobody knows. Up till then, Niceville’s been pretty boring, in Nick’s estimation. But the mystery surrounding Rainey Teague is just the tip of the iceberg. By the end of the series, readers have been sucked into a world where death doesn’t always equal being dead, where the here-and-now and the long-past flow together, where good people die for bad reasons, and where criminal cops can cold-heartedly blow away innocent colleagues and still live up to a code of honor. Not surprising for a three-book series, there’s a lot of plot. It is large, and has many branches, but is not convoluted, so the reader is always well-grounded. It helps that the books are populated with nicely drawn, well-differentiated and memorable characters. Even the scary ones have good reasons for being scary, and there is only one who is truly evil. (He gets his comeuppance, but I am sure I am not the only one who thinks that we have not seem the last of him.) 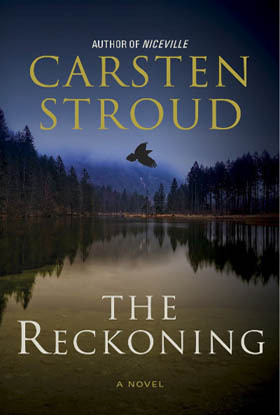 Stroud has a sure hand with suspense, frequently ending a chapter with a cliffhanger while he moves on to a different plot thread in the next chapter. Also good, from my perspective: he does not go over the top with the supernatural. Sure, dead folks are walking around, interacting with the living like they’re not dead. But Stroud handles it so naturally, that even before we know why this happens, readers accept it. And sure enough, there are rules to this world of Niceville’s. And the reader is rooting for the good guys. All in all, big thumbs up for all three books. Read them in order and enjoy. Halloween is almost upon us, so ’tis the season! 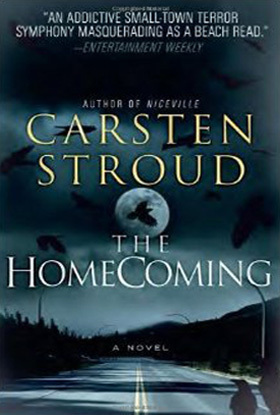 This entry was posted in Review and tagged Carsten Stroud, niceville, Stephen King, supernatural, the homecoming, the reckoning, triology. Bookmark the permalink.